“It may be hard to love a crocodile but, by taking a humorous approach, Beware of the Crocodile manages to make this fearsome reptile almost endearing. Coco Chanel was an orphan who grew up in a convent in the French countryside. The nuns taught her how to sew. She didn’t like having to brush her hair with one hundred strokes a day. 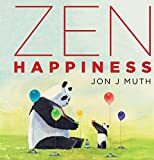 Already generating a ton of pre-press buzz, and rightfully so, Zen Happiness is a book to get excited about! Da Vinci Painted a Dinosaur is a clever introduction to art history for very young children. Originally published in the Netherlands in 2016, this homage to the friendship and careers of the couturier designer Hubert Givenchy and actress Audrey Hepburn does not fare well in translation. 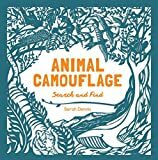 What do an East African oryx, a turquoise-browed motmot, a Malayan tapir, an echidna, and kelp gull have in common? The color blue holds many meanings both positive and negative. In many faith traditions the color is symbolic of virtue, holiness, or of the divine. 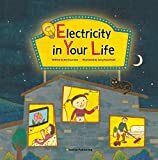 The new picture book by Shana Corey called A Time to Act: John F. Kennedy’s Big Speech focuses on the story behind John F. Kennedy’s speech about Civil Rights and Equality. But Ms.
Chelo Manchego tackles a poignant and universal issue in his book The Want Monsters. 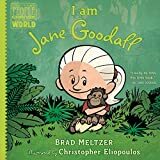 I Am Jane Goodall by Brad Meltzer is the latest installment in the Ordinary People Change the World series of books, created to introduce young children to historical heroes. Ms.
Coco Chanel is a fashion version of Cinderella—minus the Prince Charming since she had so many Prince Charmings.